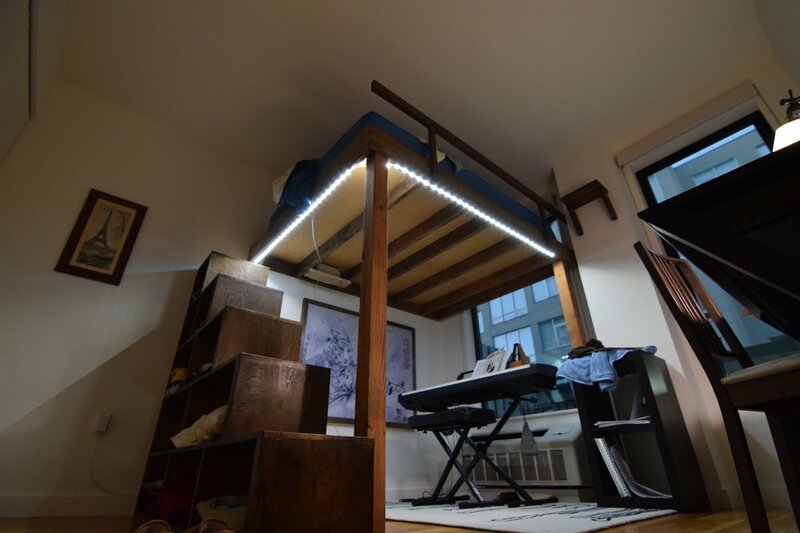 We can loft your bed, or take you up to a whole new level. We can add cubby staircases, cabinets, drawers, ladders, closets, desks, or even make an interior tree house for the kids. Here are some projects that show you just a few of the "extra options."